The EPA Stormwater Phase II program went into effect March 10, 2003, for urbanized areas with population densities over 1,000 people per square mile and other designated areas. 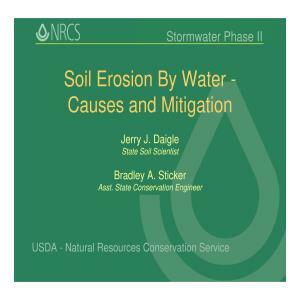 At that time, the stormwater control program for all small construction sites (1 to 5 acres) also went into effect. 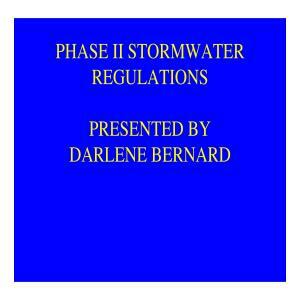 The program requires all affected areas to obtain a general permit and to file a Stormwater Management Plan for their Municipal Separate Storm Sewer System (MS4). The goal of the program is to reduce the discharge of pollutants to the maximum extent practicable to protect water quality in the receiving streams. 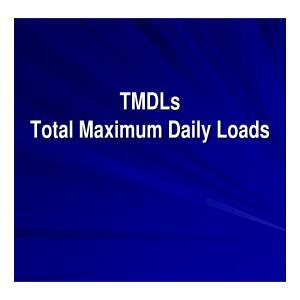 If there are TMDLs on the receiving streams, the plan must address meeting the requirements of the TMDL. Other than meeting the TMDL requirements, there are no numerical requirements for reductions, and monitoring is minimal. 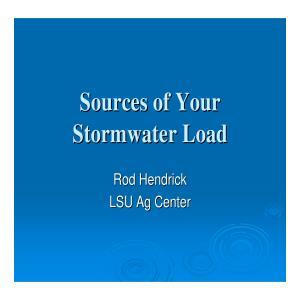 The LSU AgCenter held an information and training conference on Phase II Stormwater at the Lod Cook Conference Center at LSU on February 20-21, 2003, to prepare local officials, engineers and planners to prepare the NOI and to prepare a Stormwater Management Plan. The agenda for this meeting, PowerPoint presentations and links are below.